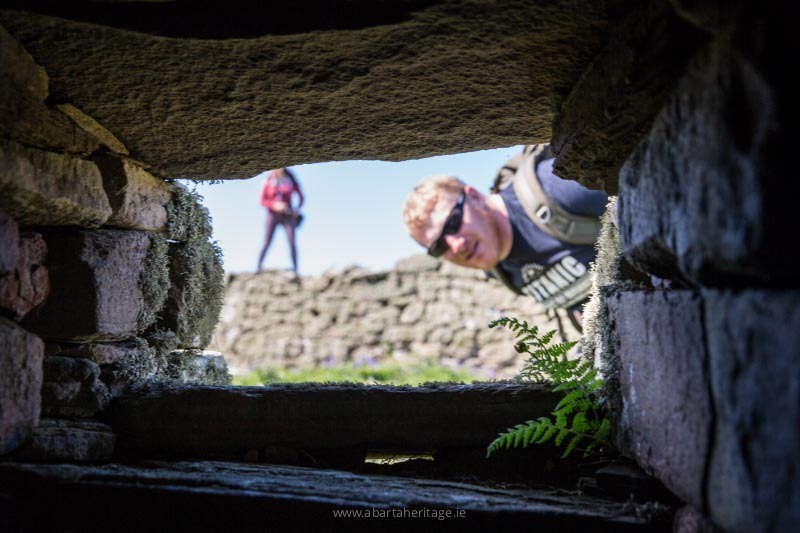 Exploring the Wild Atlantic Way | A Trip to Inishmurray, County Sligo. Inishmurray is a small island in Donegal Bay off the coast of County Sligo. 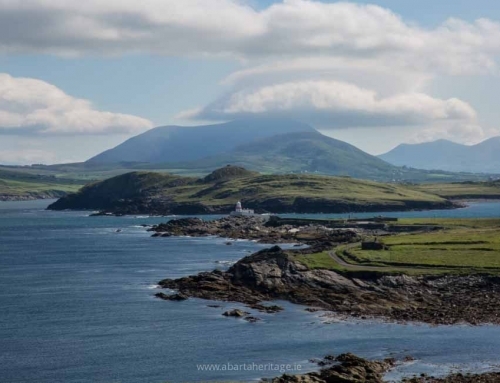 We’d long dreamed of visiting the island, but we’d never managed to get there as the weather conditions have to be perfect to make the trip, so we were delighted on May 4th 2017, when a calm and sunny spell of weather allowed us to take the journey with a group of friends. 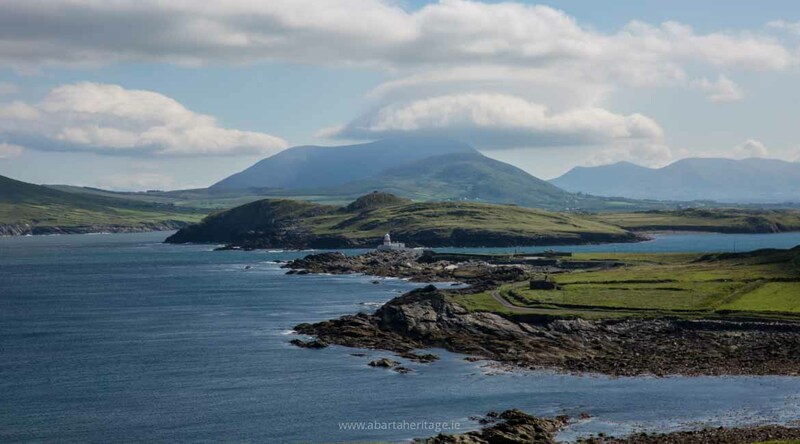 Neil is currently writing a new guidebook for the historical sites of the Wild Atlantic Way, so we’re in the middle of visiting some wonderful locations along Ireland’s western coast. We chartered a boat with the knowledgeable Keith Clarke of Inishmurray Island Tours and the captain of the MV Fiona Tee. 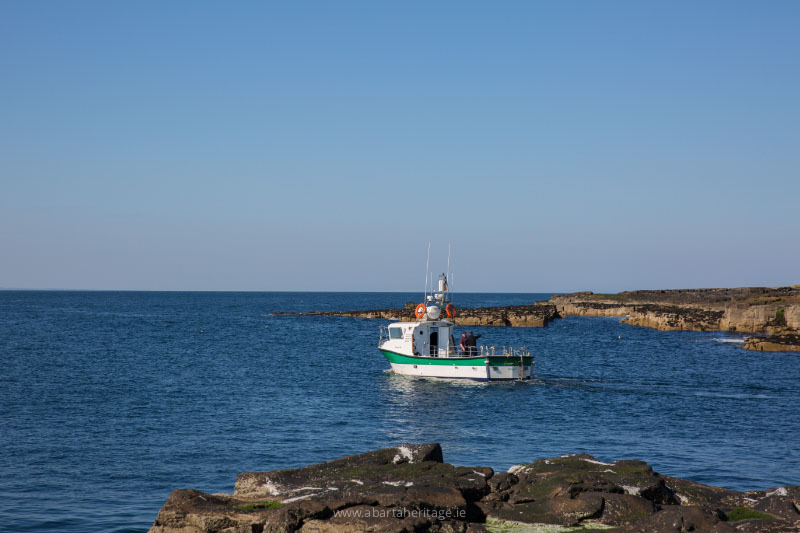 Keith has over twenty years experience on the water and he and his crew expertly navigated the waters and the tricky island harbour of Clashymore. The small and rocky island is uninhabited, except for the large number of sea birds and an occasional seal. A small community lived here until it was finally evacuated in 1948. At that time, 46 people lived on Inishmurray, in a small and self-reliant community that survived by fishing, farming, and burning seaweed to help extract the valuable iodine. Inishmurray was also famed for its production of poteen, an illegal industry that managed to thrive despite many attempted raids by the Royal Irish Constabulary. The ruins of the islanders homes still lie along ‘Green Street’ and are a poignant reminder of the community that once lived here. 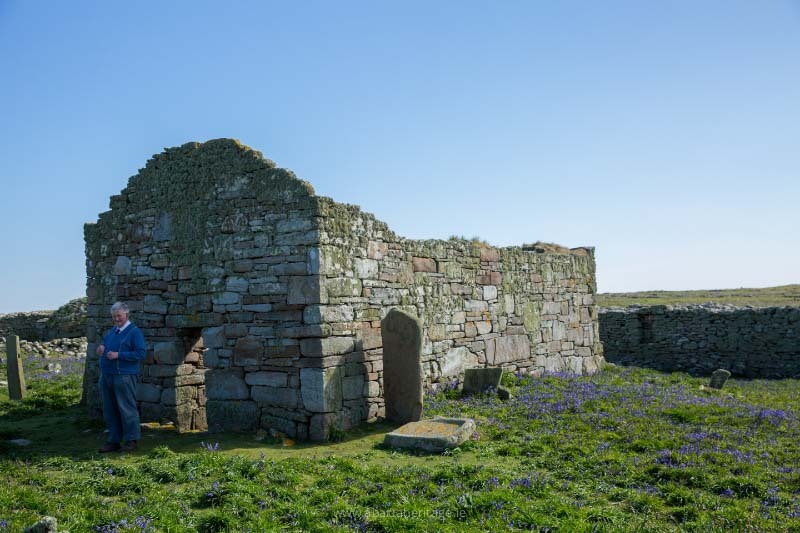 The reason we were so keen to visit the island was to see the important early monastic remains. 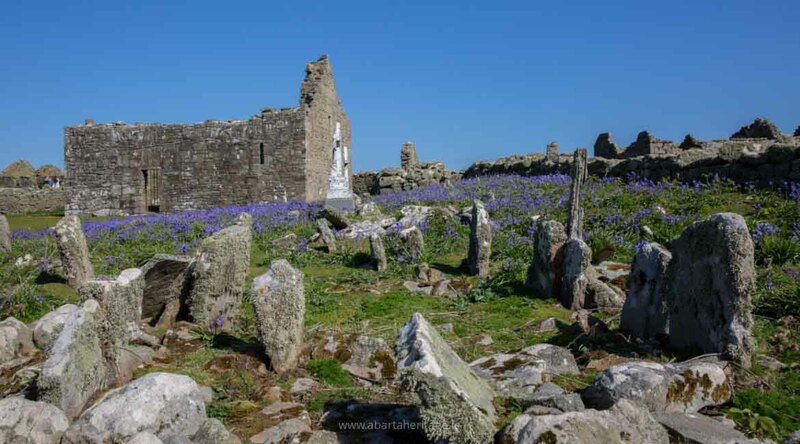 The monastery was thought to have been founded by St Molaise in the sixth century, and it was one of the first places in Ireland to have been raided by the Vikings, when they attacked in AD 795. 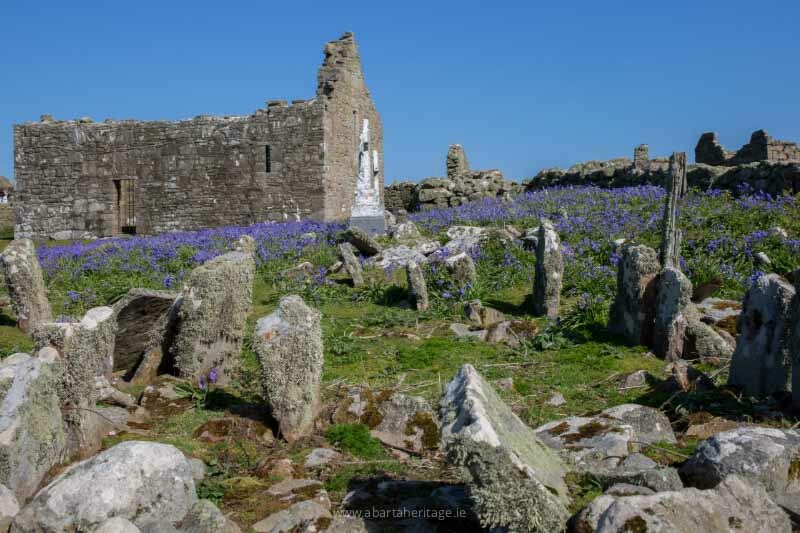 Most of the monastic remains are set within a large oval enclosure, with a number of beehive cells and churches. We will feature more detail on Inishmurray in a future article. We were incredibly lucky with the weather as it remained bright and sunny all day. 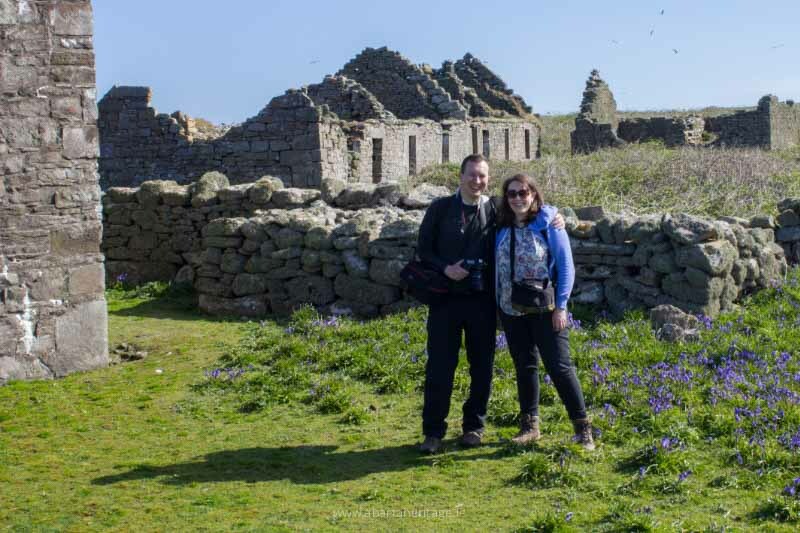 It was a particularly stunning time of year to visit as the island was clustered with beautiful hosts of bluebells. 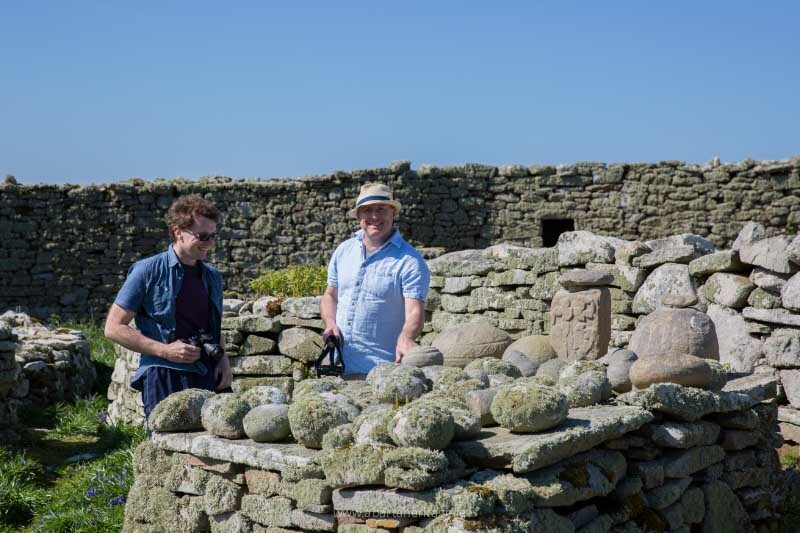 Our visit to Inishmurray will live long in my memory, with beautiful weather, incredible atmospheric archaeology and great company it really was a heavenly day! If you plan to visit Inishmurray this year please note that it is a very delicate and important habitat for nesting seabirds and other wildlife so please take every precaution to avoid disturbing them. The ruins themselves (including the abandoned early modern settlement) are fragile so please don’t climb on the walls or light fires. There are no facilities at all on the island, so I recommend bringing water, suncream, and because it’s Ireland – waterproofs. Good boots are highly recommended. There is no harbour, so you have to jump onto rocks at Clashymore, so it may not be suitable for everyone. The boat journey takes around an hour each way, and perfect weather is required. Thanks so much Johnny, delighted that you enjoyed our post. It can be such a tricky site to get to as it is so weather dependent, but it is so worth the effort. I really hope you get there! Hi Neil. 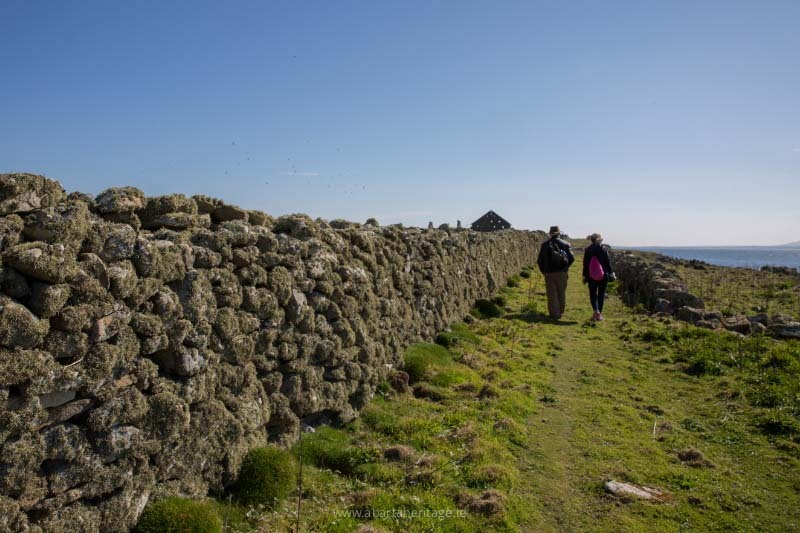 We do guided heritage trails to Inishmurray Island at Seatrails. Expert Archaeologist Guide to show people this incredible site.